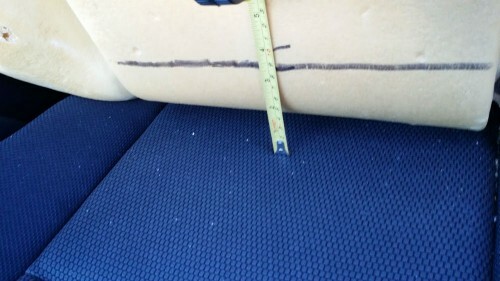 I recently bought a 2005 Pontiac Vibe, and the seat was killing my back after owning it for a few weeks. 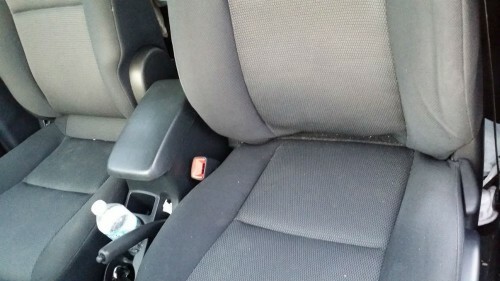 Doing some research on the internet, I discovered that seat comfort, is a common complaint on these vehicles. 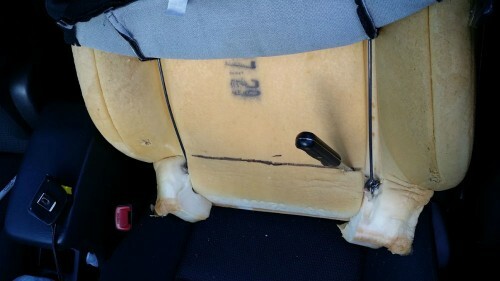 Putting in a different seat is almost impossible, because the airbag sensors are built into the seat frame. 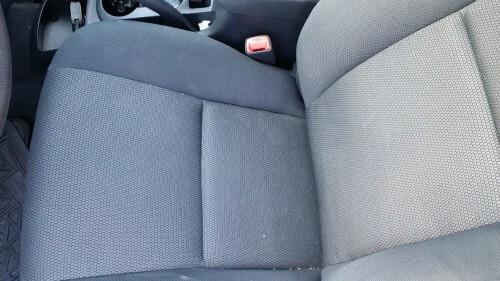 This leaves three options; get a different car or fix the existing seat or have a sore back everyday. 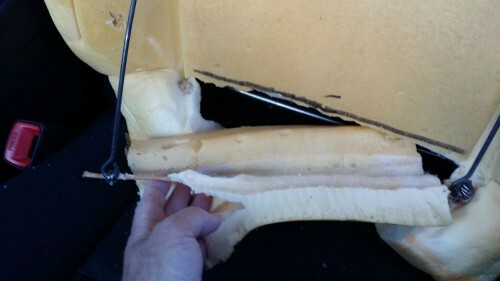 After trying various cushions over a couple of weeks I suspected that the problem was “too much padding” in the lower portion of the seat. 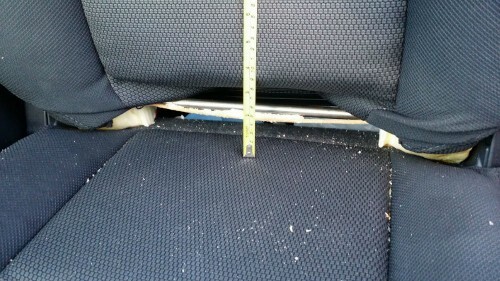 Also the driver seat is 2 inches shorter than the passenger seat….back to front… that was kinda surprising. You can tell they are different in the photo. Anyway, the solution for me was to cut away the bottom of the cushion area so it resembles a normal ‘chair’ which has an open lower back. I can’t guarantee this will help everyone, but it sure made my Vibe more comfortable to drive, besides, you cant really tell the difference it makes anyway. The pictures show the steps from start to finish. 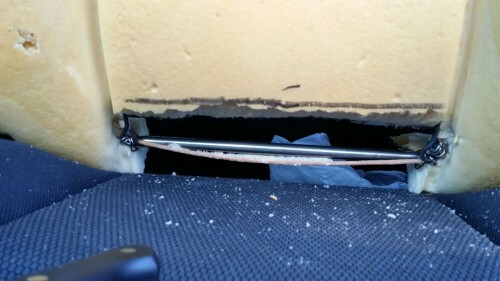 Disconnect the fabric and lift up, measure about 3 1/2 inches, cut out the foam, I discarded those 2 metal rods in the “remove” photo, but you could probably leave them in if you wanted to.